Voluntary Services Overseas (VSO) is an international development organisation. At the heart of our contribution to development is international volunteering. Our distinctive competence is working with our partner organisations to bring together skilled professionals from different cultures and backgrounds, enabling them to share skills and learning. > A world without poverty in which people work together to fulfill their potential. VSO promotes volunteering to fight global poverty and disadvantage. We bring people together to share skills, creativity and learning to build a fairer world. (Provides skilled experienced professionals to VOs as per their requirement on mutually agreeable terms) As part of VSO Country Strategic Plan. we are making some fundamental decisions about where we will work, how will we work and on what issues. In future VSO India will place volunteers only in the east of the country and in Delhi. The geographical focus of our programme will be in Orissa, West Bengal, Jharkhand and Chattisgarh. Could you be a VSO partner ? > Would your organisation benefit from new skills and ideas? > Could training help your co-worker ? > Do you need support for your new area of work ? > Is your organisation committed to the sustainability of a volunteer input by ensuring that his/her skills will be acquired and used by your staff after their departure ? If the answer to any of these questions is yes, then you could work with VSO. > Work in one of VSO India’s priority development sectors and geographical focus. > Be able to manage and support the work of a VSO volunteer. > Share the values of VSO’s work, which are explained in this leaflet. > Be open to working with people from different backgrounds and cultures, be flexible and tolerant. How would the partnership work ? VSO works in partnership with local organisations, both government and non-government, and sometimes with private-sector employers. > Together, we identical the changes that the employer wants to make. > If a VSO volunteer can help, we write a placement description together. This sets out the job, the VSO volunteer will be expected to do and the objectives you as the employer want to achieve. > VSO will seek to recruit and place a suitably qualified and experienced volunteer. > The host organisation decides, on consideration of the CV and or dialogue whether the volunteer offered is suitable. > Getting Visa for the volunteer. Once the volunteer has arrived, VSO, the volunteer and the employer work in partnership to meet the agreed objectives of the placement. Volunteers can work for up to two years, but the length of a placement depend on how long the partner thinks it will take to complete the job. Partnership can be for longer periods, a second and third volunteer might be required. To become a VSO partner, your organisation should work in the above regions and sectors. MITRA was started as an entrepreneurial initiative by a few alumni of the Institute of Rural Management, Anand (IRMA), India in November 2000 with the initial support from ICICI, India’s second largest financial group. MITRA is registered as a not-for-profit company under section 25 of the Companies Act, 1956 in December 2001. Since its inception, MITRA has been working towards promoting the spirit of volunteering in India through its flagship program iVolunteer. iVolunteer was founded on the fact that volunteering is becoming a popular way for individuals to give back to society. Its vision is, “An India where people contribute back to the society by sharing their skills and time with those who need it the most”. iVolunteer works with its network of partner organizations across India to create volunteering opportunities for individuals who want to make a difference to the community. To be able to service the need of individuals and organizations better, it has set up volunteer centres in the cities of Delhi, Mumbai, Pune, Bangalore, Chandigarh and Chennai. Voluntary Health Association of India (VHAI) is a non-profit, registered society formed in 1970. It is a federation of 24 State Voluntary Health Associations, linking together over 4000 member institutions across the country. VHAI is one of the target health and development networks in the world. VHAI advocates people-centered policies for dynamic health planning and programme management in India. VHAI initiates and supports innovative health and development programmes at the grassroots with the active participation of people. VHAI strives to build up a strong health movement in the country for a cost effective, preventive, promotive and rehabilitative health care system. It works towards a responsive public health sector and responsible private sector with accountability and quality service. VHAI promotes health as an issue of human right and development. The beneficiaries of VHATs programme include health professionals, researchers, social activists, and government functionaries and media personnel. > Promotion of social justice, equity and human rights in the provision and distribution of health services for all, with emphasis on the less privileged millions. > Strengthening a people’s health movement in the country. > Advocating congenial policies and programmes aimed at improving the health status and quality of life of the people. > Supporting voluntary efforts in the country through formation and strengthening of state level organizations. > Initiating innovative grassroots level sustainable health and development programmes in some of the least developed in the country. 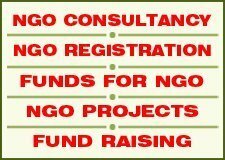 > Capacity building of voluntary agencies through formal and non-formal training, awareness building and orientation programmes. > Developing and sharing effective development communication tools aimed at promoting educational activities and campaigns. > Doing health policy research for influencing policies and programmes for a cost-effective, preventive, promotive and economically sustainable health care system in the country. > Doing advocacy and lobbying with policy makers by suggesting viable alternatives supported by research, for improving governance and programme implementation. > Repackaging and dissemination of information collected globally to network partner in the country. > Effective networking with Government, UN Agencies and voluntary and professional bodies with regard to sharing of expertise and resources. > Responding to medical and health emergencies during and after natural disasters. The Voluntary Health Association of India *VHAI was founded in 1970 as a secular, non-political, non-profit organization. It is registered under Societies Registration Act XXI of 1860 as a Non-Governmental Agency. VHA federates 27 State level Voluntary Health Associations in the country. It is linked to over 4500 member institutions through State Voluntary Health Associations. VHAI works closely with a large number of associates and partners in India and abroad. This includes a Health Workers Collective of over 120000 members, spread across the country. These make VHAI as one of the largest health and development networks in the world. UNIFEM is the Women’s Fund at the United Nations. It was created in 1976 by the UN General Assembly resolution in 1976, in response to the call from the women’s movement. It was set up to be an aid to and advocate for women of the developing world-to give them voice and visibility. It serves as a bridge between global policy-makers and grassroots women in the developing world and is a key institution for forming linkages and bridging micro-voices to macro-policies. > Strengthening accountability by engendering institutions, systems and processes of governance, which include engendering of development planning processes as also systems of economic governance through engendered fiscal systems. > Engendering the leadership of women in politics to play a transformatory role in policy and development planning in South Asia. > Enabling gender responsiveness in the bureaucracy. > Strengthening the intellectual and conceptual understanding of South Asia networks of organizations and individuals committed to gender-just and sustainable development. > Facilitating the implementation of human rights instruments and bring laws into conformity with human rights standards. > Strengthening institutional mechanisms for gender justice. > Addressing different forms of violence against women and girls in the home and the community and socio-cultural practices and socialization processes that perpetuate it. > Developing actions to address women’s human rights in the context of conflict and post-conflict. > Promoting well defined preventive, protective and prosecution strategies in the region to reduce trafficking of women and children. > Projecting the gender dimension of HIV/AIDS into the public discourse in HIV/ AIDS, including the Government, NGOs, bilateral and UN agencies. > Highlighting women’s work and their economic contributions by engendering Census Exercises in India, Nepal and Pakistan. > Building women’s capacities and improving their access to larger markets and financial products and services. > Improving living and working conditions for migrant women workers in Nepal and Sri Lanka, home-based workers and mountain women. > Building gender sensitivity’ into the UNDAF process. > Supporting and catalyzing the work of the Inter-agency Working Group on Gender. Building synergy with UNDP and other UN agencies. Trusts created by the Tata Group have provided valuable service to society ghrough the funding of educational and healthcare institutions and scientific and artistic teaching and practice, besides aiding community welfare activities. in Mumbai : the Tata Institute of Social Sciences (in 1936) ; the Tata Memorial Centre for Cancer Research and Treatment (1941); the Tata Institute of Fundamental Research (1945) ; and the National Centre for the Performing Arts (1966). The National Institute of Advanced Studies (1988) and the Sir Dorabji Tata Centre for Research in Tropical Diseases (1999) are in Banglore. Set up in 1974, this trust is named after the founder of the Tata Group, Jamsetji Tata. Established to mark the centenary year of the first Tata enterprise, it bestows grants in areas where innovative efforts are being made. Established in 1892, the trust funds higher education for deserving Indian scholars. The trust has supported 3,500 scholars and awarded more then Rs 68 million to promising students from various strata of society. Set up in 1991 by J.R.D. Tata with his and his wife’s personal wealth, the trust works to uplift women and children. Established in 1944, this trust supports, by way of institutional donations, the advancement of learning. It also gives research grants and scholarships, provides relief in the wake of natural calamities, and backs social-welfare projects and philanthropic activities. This trust was set up in 1932 by Sir Dorabji Tata in memory of his wife. Lady Meherbai Tata. It helps women graduates go abroad to study social work, and has thus far supported 228 women graduates (with total disbursements of Rs 30,70,000). Established in 1932 by Sir Dorabji Tata in memory of his wife Lady Meherbai Tata, this trust promotes research in diseases of the blood. It disburses funds mainly by way of international awards, which are decided by a scientific advisory committee in London. A fifth of the trusts income is expended on Indian awards for research on the alleviation of human suffering. This trust was set up in 1958 by Minocher K. Tata his personal resources. The objectives of the trust are the advancement of learning in all fields by way of research grants and scholarships; and providing medical and other relief in the aftermath of natural calamities. The trust was established in 1918 in accordance with directives in Sir Ratan Tata’s will. It utilises its funds in five areas : basic and advanced (postgraduate) education; primary and preventive health; rural livelihoods and communities; arts and culture; and public initiatives. Preference is given to projects based in rural India, and those that involve the advancement of women and children. Set up in 1990, the promoted the advancement of learning by way of institutional grants. It also backs social-welfare projects and philanthropic activities. Tata Social Welfare Trust and Tata Education Trust Established in 1990, the trust encourages the advancement of learning in all fields by way of research grants and scholarships. It also provides medical and other relief to people who have suffered in natural calamities. The PACS Programme is a seven year (2001-2008) efforts to empower millions of poor people living in many of India’s most backward districts. It seeks to achieve this by strengthening civil society oranisations (CSOs) working for the poor. The programme today covers over 10500 villages in around 74 districts of 6 states through a network of over 350 CSOs. The PACS Programme stems from the overall aim of the UK’s Department For International Development (DFID) to reduce global poverty and promote sustainable development. In particular DFID is committed to achieving the UN Millennium Development Goal of having the number of poeple living in extreme poverty in the world by 2015. In India DFID is working in partnership with the state governments of Andhra Pradesh, Orissa, West Bengal and Madhya Pradesh on a variety of programmes. The PACS Programme was conceptualised to help the very large number of poor people living in other regions of the country. To achieve maximum long-term impact over a large area in an effective and manageable way, the PACS Programme focuses on strengthening the awareness and capabilities of poor people, so that they can demand and exercise their rights – political, economic, social and human – to improve their own lives. In other words, the programme focuses on the demand side, rather than on supply side activities such as building infrastructure. > demand services and entitlements that can improve their lives. This is the primary objective of the programme. The programme seeks to achieve these goals through a network of civil society organisations (CSOs). CSOs have been deliberately chosen as agents of change. In many of the poorest areas they have a far more effective reach than governments or market forces. The secondary objective of the programme is to strengthen the capacity and role of Indian civil society and CSOs working for the poor. This will ensure that the benefits of the programme are sustained over the medium term. > Making society more responsive to the problems and aspirations of the poor. The PACS Programme’s strategies are derived from its Aim. The Programme supports a network of civil society organisations (CSOs) working on projects aimed at increasing the capacity of poor people to demand and use political, economic, social and human rights, and services to improve their lives. 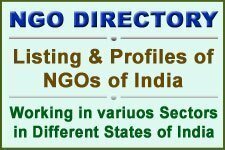 The carefully selected CSOs, including some large Indian and international organisations, usually work in partnership with other organisations. The PACS Programme is currently (as per internet checked on 2/3/2005) supporting 80 CSOs; known as programme partners. Including small and medium -sized organisations allied to these CSOs, the PACS Programme network extends to over 350 non-governmental organisations. All the programme partners work within the scope of clearly defined and rigorously appraised project proposals. To know more about partners and their projects, click here going into website. The PACS Programme has been designed to determine and implement the most effective strategies to empower the poor and build the capacities of local communitee. It supports an integrated approach to key development concerns, including. > Improved local self-governance : Many PACS Programme projects develop the capacity of the poor to voice their needs and views through panchayati raj institutions, so that they can exercise democratic control over local representatives and public services. > Women’s empowerment: Many PACS Programme projects focus on improving women’s participation in local government. > Social cohesion : The PACS Programme works to increase awareness of rights and catalyse change in institutions and policies to reduce discriminatory practices in communities, especially discrimination against tribals and dalits, the landless, women, children and minorities. The programme encourages peaceful and cohesive approaches to securing rights. > Policy advocacy : The absence of relevant and effective state and national policies compounds the problems of the poor. In other instances, pro-poor policies exist but are not implemented. PACS Programme managers and partners are working on advocacy efforts for the formulation and implementation of policies in favour of the poor. > Self-help : For the poor to work towards the long-term outcomes listed above, it is essential that their immediate, basic needs are met. Hence the PACS Programme supports sustainable self-help initiatives which complement the efforts of governments and provide a platform for addressing other key issues. Self-help also promotes the development of participatory leadership and economic security. > Denial If land rights. > Problems of the disabled. > Integrated development of specific regions such as Bundelkhand. > Creation of sustainable livelihoods on a large scale. > Creating awareness among the poor about their constitutional and legal rights. > Providing training and information in management or technology skills. > Encouraging and supporting microfinance groups. > Facilitating the development of new livelihood opportunities. > Establishing links to government institutions and programmes. > Developing their own and other organisations involved with issues of the poor. While the PACS Programme is primarily focused on the poor, it is also strengthening the capacity and role of CSOs. The programme has a long-term capacity -building framework with specific training programmes, seminars and workshops on issues and topics identified by the programme’s managers in consultation with the programme partners. Stronger CSOs with enhanced skills, exposure and knowledge will ensure that the benefits of the programme are sustained over the medium term. The PACS Programme area across these states has been defined on the basis of a list of 100 ‘poorest’ districts of India prepared by a committee of the Government of India’s Ministry of Rural Areas and Employment, in 1997. After new districts were carved out, this list increased to 108 districts. See India’s poorest districts for a discussion on this list, a more recent list prepared by the Planning Commission and another list prepared by non-government experts. From the 1997 list, the PACS Programme area was carved out in such a way that it covers the maximum number of ‘poorest’ districts in a geographically contiguous region, so that the programme could reach the largest number of poor people in an effective and manageable way. The PACS Programme area so created covers around 85% of the ‘poorest’ districts of India, as defined by the Government of India in 1997. About 40% of India’s population lives in the programme area. An estimated 100 million people living in the programme area are ‘extremely poor’. Till the end of 2003, PACS Programme projects were being implemented in 74 districts across six states; covering around 10,500 villages. The PACS Programme’s managers welcome concept papers for projects from reputed civil society organisations (CSOs). CSOs seeking support should not submit project proposals at the first stage. Please read the following carefully on how to proceed. > First read about the PACS Programme’s Aim, Geographical Coverage and Strategies to see if your project proposal fits into the programme framework. You can also look up the Partners & Projects section to contact CSOs in your region that are already associated with the PACS Programme. > If your project proposal fits into the PACS Programme framework, see whether your organisation meets the Selection Criteria for receiving grants directly. > Read about the Selection Process and submit your concept paper in the specified format. Does the PACS Programme support efforts like construction of schools and hospitals ? No. The PACS Programme is aimed at demand-side issues: making poor people more aware of their human, political, social and economic rights and building their capabilities to exercise these rights for the betterment of their lives. The programme is not aimed at supply-side issues like construction of schools and hospitals. However, CSOs participating in the programme could be involved in tackling supply-side issues through other programmes. The PACS Programme managers are also exploring the possibility of linking some of the programme’s projects to supply-side assistance, with the aid of other donor agencies and government programmes. > reduce poverty and injustice. Founded in 1936, the Foundation operated as a local philanthropy in the state of Michigan, U.S.A., until 1950 when it expanded to become a national and international foundation. Since then it has provided over $12 billion in grants. These funds derive from an investment portfolio started with gifts and bequests from Henry and Edsel Ford. Over the years, the Foundation has diversified its investment portfolio to provide a perpetual source of support for its programs and operations. The total endowment of the Foundation is currently $10 billion. It has no commercial or religious affiliation and receives no funding from governments or from any other outside source. Since the Foundation’s resources are models when compared to the problems it seeks to address, it focuses on a limited number of program strategies within its over-arching goals. In doing so, it brings together women and men who have diverse backgrounds, experiences and perspectives. Moreover, it also encourages broad participation and partnership in problem solving, and involves individuals and institutions from the non-government, government and business sectors, with special attention to those living and working closest to where the problems are located. This diversity and collaboration help to build common understanding and attempt to empower people to make significant and long-lasting improvements in their lives and communities. An international Board of Trustees sets policy for the Foundation and delegates authority for grant-making to the President and senior staff. Program Offices in New York and the 12 overseas field offices explore opportunities to pursue its goals, formulate strategies, and recommend proposals for funding. A report on its activities, which also contains a list of grants made during the year is published annually and is available on request. At the invitation of Prime Minster Jawaharlal Nehru, the Foundation established on office in India in 1952. It was the Foundation’s first program outside the United States, and remains the largest of its overseas field operations. Through its office in New Delhi, the Foundation also serves Nepal and Sri Lanka. During the first two decades, the Foundation operated both as a grant-making organization and on implementing agency, and focused primarily on agriculture and rural development. It maintained a large staff that provided technical assistance and implemented many projects directly. Since 1972, the Foundation has functioned mainly as a grant-making institution, providing funds to academic institutions and research organizations, government agencies and non-government entities. The Foundation’s program of support has evolved in response to changing needs and priories. Over the past five decades, the Foundation has made major commitments in the areas of agriculture and rural development, forest and natural resource management, reproductive health, livelihood, human rights, governance, education and culture, regional cooperation and security, and the promotion of in-country philanthropy. Grants in these fields have been designed to strengthen individual and institutional capabilities, support innovative concepts and approaches, and promote generation and sharing of knowledge. The New Delhi office is headed by a Representative who is assisted by a group of internationally recruited program staff. This team of professionals seeks out promising opportunities in areas of program priority. Grant applications are carefully evaluated by the program staff who work with prospective partners to develop projects and recommend grants for funding Grants are not normally given for individual scholarships, travel or study abroad, or for the construction and maintenance of buildings. Since its establishment in 1952, the New Delhi office has made 3,640 grants totaling around $502 million to more than 1,200 institutions. These grants include support for organizations in Nepal and Sri Lanka whose work contributes to the solution of problems within the region. The preset annual program budget of the New Delhi office is around $15 million. The Foundation has been privileged to have participated in the remarkable progress and achievements made by India and the South Asian region during the past fifty years. It also shares in the subcontinent’s continuing concerns. Despite significant economic growth and technological advancement, large numbers of people continue to live in absolute poverty. Furthermore, persistent inequities in access to resources and services, heightened conflicts and incidence of violence, growing social and cultural alienation, and continued deterioration of the natural resource base are among the elements of this development paradox. In responding to these challenges, the Foundation is guided by the fundamental belief in the importance of encouraging ‘solutions through the initiative of those living and working closest to where the problems are. The Foundation also strongly believes in the value of ensuring the participation of women and men from diverse communities, from different sectors and at all levels of society. Grant-leaking in all programs attempts to primarily serve the historically disadvantaged, particularly those among the poorest of the population. Strategies, approaches and projects are designed to especially benefit the most marginalized, those who are most vulnerable, excluded and farthest from centers of power, knowledge and opportunities. Women, dalits, advises and issues that affect them are at the core of Foundation programs. The Foundation’s priorities are to support grassroots organizations, citizens groups and social movements that work to uplift and empower the poor. The Foundation also supports government agencies, civil society, academic and research institutions, and advocacy organizations. > Asset Building and Community Development. > Knowledge, Creativity and Freedom. Each major program is, in turn, organized along fields and initiatives. In some cases, individual fields also respond to unique grant-making opportunities that may not directly relate to initiatives but promise significant scope for innovation and learning. These fields and initiatives are described in more detail in the inserts at the back of its brochure. There are an estimated 300 million people living below the poverty line in South Asia. One of the leading causes of poverty is the lack of assets – financial, physical, natural, human and social. A lack of assets is the main reason for the vulnerability of the poor and their inability to cope with unforeseen circumstances. Access to assets can enable people to raise incomes and improve living standards. The Ford Foundation’s Asset Building and Community Development program supports efforts by individuals and organizations to build a bundle of assets in ways that reduce poverty, discrimination and injustice. As durable resources, these assets are transferable across generations and provide a basis for enduring solutions for problems of persistent poverty. > Creating economic opportunities, improving livelihoods and developing financial institutions responsive to the needs of poor and disadvantaged people. Better management of natural resources is promoted by greater access to common property resources, more equitable use, greater benefits through local value addition and more sustainable management. The Environment and Development program seeks to advance new thinking, innovation and development practice that is compatible with the sustainable and equitable use of natural resources and environmental services. Natural resources include forests, agro biodiversity rich areas, fisheries and coastal waters that underpin many rural economies. Environmental services range from promoting clean air, maintaining biological diversity and contributing to the capacity of watersheds to replenish and purify water. The Foundation supports efforts to integrate environmental conservation with strategies to improve livelihoods, create new economic opportunities and increase social equity. It supports resource dependent and especially marginalized communities to build social networks, increase their capacity to better manage resources, secure tenure and resource rights and use various strategies to assure equitable long-term access to natural resources. Respect for diverse cultural values and vitality are also important components of these strategies. Through this program, the Foundation funds two major initiatives – community-based natural resource management and conservation-linked enterprise development. Grants in both initiatives support interventions at local, state and national levels. Federations of people’s organizations, social movements and membership organizations are given priority. Funds are provided for capacity development, action-research, pilot experiments, networking and policy advocacy. > Ensure the partipation of poor and marginalized communities in management decision-making from the scale of individual resources to higher landscape levels. > Facilitate reinvestment of returns from enterprises in natural resources quality improvement, community development and livelihood security. In addition to the above, the Foundation will make “opportunity” grants to address the challenges faced by vulnerable communities in the mountains and coastal areas. > Policies and processes in both the public and private sectors that promote equitable and sustainable resource management. The Foundation’s economic development program aims to reduce poverty and social injustice and to improve the well-being of poor and marginalized people by enabling them to better access resources and in formation and to build assets, skills and capabilities. Micro-finance, including both credit and savings, has proven to be an important instrument in poverty reduction. Even small amounts of credit can help change people’s economic circumstances by enabling them to have more working capital or to buy income-producing assets such as milch animals or to reduce indebtedness. > Leveraging greater resources for micro-finance from government and commercial sources, especially banks. A growing labor force, limited job creation and high rates of unemployment limit the livelihood options of poor people, the vast majority of whom work in the informal sector in a wide range of activities. They include-scale agriculture, petty trade, crafts production and services in which risks are high and return low. Opportunities for advancement are limited because people lack skills; education, training, and financial and other resources. They also lack access to markets conditions. Most enterprise development programs focus more on training, credit and other supply side factors with very title reference to market demand and coordination of services. Finally, efforts to strengthen poor poeple’s livelihood are limited because, unlike in micro-finance, standardized best practices are not yet available for livelihoods promotion. > Improving policies and programs based on sound research or practical experience to enable micro and small entrepreneurs to better access emerging local and global market opportunities. This aspect of the program also focuses on high impact sectors such as agriculture and the informal economy in which a large proportion of low -income workers are employed. Poor people, including women, dalits, low-caste and indigenous people, face severe discrimination on a daily basis. Not only is such discrimination a violation of people’s human rights, it is also a significant barrier in overcoming poverty. There is growing awareness that livelihoods and development are human rights and that various types of rights – social, civil, political, and economic – are interlinked and mutually reinforcing. > Encouraging application of rights-based perspectives and strategies in poverty reduction and livelihoods programs as, for example, by drawing upon international and national commitments and mechanisms for compliance to realize economic rights. Enormous changes have taken place worldwide during the last decade. Innovations in technology and communications have revolutionized people’s abilities to share and exchange information and ideas across continents. Globalization and integration of the world’s economies have brought significant changes in people’s working lives. Ethnic, social and geo-political shifts have rewritten geographic boundaries and transformed relations between and among countries. Despite increased communication and information exchanges, social and ethnic conflict and political violence continue to remain pervasive across the subcontinent. Vast numbers of people continue to live in extreme poverty lacking access to basic resources like food, water and land. Women of particular ethnic or religious groups continue to experience discrimination and large scale human rights violations are committed by state and non-state actors with impunity. Many also do not have access to basic services, including those necessary for their reproductive and sexual health. > Promoting justice and ensuring the protection of human rights with a special emphasis on the assertion and protection of the rights of women. > Supporting innovative research, documentation, advocacy and training that not only explicate the causes of democratic deficit but also propose solutions that link different levels of governance for better result. As part of this concern, the Foundation supports efforts that generate and disseminate empirical and comparative knowledge regarding the redistributive and welfares functions of the state; promote greater understanding of policy making process in the context of globalization; and strengthen capacity building of organizations that work towards achieving greater accountability and transparency of state institutions. The Foundation’s support in promoting accountable governance focuses not only on the effective use of too Is such as budget analysis, right to information law by citizen groups, but also on innovative strategies that create synergy between marginalized groups and state institutions. Limited funds will also be available to support south-south dialogue and networking on the state and globalization. > Fostering pluralism and peaceful co-existence. Both current and new grantees are eligible for support. This program is particularly interested in reaching out to groups outside of major urban areas, as well as to potential applicants in Nepal and Sri Lanka. The Foundation is particularly concerned with the development of social justice philanthropy, as opposed to philanthropy for welfare or charitable purposes. > Effective media strategies in order to broaden and deepen public understanding of and support for civil society and philanthropy. > Support coalition building and strengthening in order to create linkages across communities, issues, and geographic levels. > Civil society efforts that promote pluralism through diverse strategies (the program is exploring opportunities to collaborate with the Governance, Education, Arts and Culture, and Economic Development programs in order to foster pluralism from a multi-faceted approach). The Sexuality, Reproductive Health and Rights program of the New Delhi office as part of the Foundation’s Peace and Social Justice program attempts to promote and secure reproductive and sexual health and rights for women and address issues of discrimination. It is firmly anchored on the conviction that women’s health needs can be adequately addressed only when there is a simultaneous improvement in the status of women in society. The long term vision of this program is therefore to effect social transformation around women’s rights. By using women’s sexual and reproductive health as the vehicle but moving beyond that to larger issues of social justice, the program is aimed at questioning underlying inequalities and discrimination and affirming the fundamental value of human agency. It attempts to assist and empower communities and individuals, particularly historically disadvantaged women, to demand and access quality services that effectively meet their sexual and reproductive health needs. It also supports efforts that enable women to control and articulate their reproductive health and rights. Through support to ‘NGOs, researchers and government agencies, the program addresses the underlying social, cultural, legal, political and economic factors that limit people’s ability to address and claim sexual and reproductive rights in India, Nepal and Sri Lanka. This is sought to be done through a program consisting of three initiatives. This initiative attempts to strengthen efforts made to address and reanove political, institutional and technical barriers so as to ensure that women are able to exercise the full range of reproductive rights, free of coercion and discrimination. Women’s lack of control over sexual decisions and the culture of silence surrounding issues of sexuality have led to the neglect of their sexual health. It has also increased control over sexual rights of women and vulnerable groups. Additionally, the lack pf a proper understanding of sexuality itself has led to insular strategies being adopted in addressing youth and HIV/AIDS issues. The initiative is aimed at deepening a positive, life enhancing understanding of sexuality. Primarily, it promotes sexual well-being as a key organizing principle of policies and programs. This initiative is premised on an understanding of the intersectional of gender violence, sexuality and women’s health. Women suffer from violence and its consequences because of their gender and unequal status in society. The fallout of violence on women’s health is deep and long lasting but invariably left unaddressed. The initiative attempts to strengthen institutional, legal and civil society’s response to gender violence and remove vulnerability to violence of people infected and affected by HIV/AIDS. The New Delhi office’s Educations, Arts and Culture Program is part of the larger unit called knowledge, Creativity and Freedom which aims to build knowledge, encourage creativity, and secure greater freedom of expression for all people, especially the poor, women and minorities. In the new global context created by increasing trans-national flow of goods, peoples, technologies, information, ideas, and images, this Program seeks to nurture the freedom to think creatively and innovatively, and to strengthen institutional and individual capacities to produce knowledge equitably and democracally. Our grant making in this area is based on our belief that knowledge and creativity are central to the richness of people’s lives and the progress of communities, and reiterates our long-term commitment to strengthening endangered historical, cultural, and artistic resources that form the living fabric of socially marginalized and economically disadvantaged groups. The Program also affirms the importance of the freedom to think and act critically, innovatively and responsibly in facilitating the creation and maintenance of just and plural societies. > Promoting pluralistic artistic expression in public areas, especially in schools and colleges. In an environment where public investment in advanced education has traditionally been given a relatively low priority by national governments and international donors, the Foundation’s Higher Education and Scholarship program focuses on support for post-secondary higher education in India, Nepal, and Sri Lanka. Grant making in this program focuses on providing scholars and institutions with improved access to current information and electronic knowledge and on enhancing their capacity to become key players in the global areas of scholarship as well to develop and maintain plural and diverse communities in the region. The International Fellowships Program (www.ifpsa.org<http://www.ifpsa.org/>) provides opportunities for advanced study to exceptional individuals belonging to social groups and communities that lack systematic access to higher education. Over the past decade, the Arts and Culture program focused on fostering diversity by supporting the documentation, preservation, dissemination, and revitalization of folklore, especially of marginalized communities. In addition to revitalizing folklore traditions, the initiative sought to deepen the understanding of folklore as an interdisciplinary field of study, and to enhance awareness and appreciation of expressive and material folk arts of India among broad audiences. Towards these ends, the Foundation supported various folklore institutions across the country including the National Folklore Support Centre in Chennai, which has evolved into a key partner in the field, and now regularly publishes the Indian Folklore Research Journal. > Nurturing the use of arts and cultural practices in strengthening values of secularism, tolerance and peace. The goal is to systematically institutionalize the idea of arts education and make it a self-sustaining proposition, so that the principles of creavitity, expression, innovation, and freedom become central to formal pedagogy in the subcontinent. Background information of the organization (name, address, history, legal status, principal officers, principal sources of funding and current activities). Brief narrative of the background and context of the problem or opportunities being addressed by the proposal. Overall goal, specific objective and rationale of the proposal. Description of the activities to be funded, including staff and timing, and links between these and the work of other organizations. Description of the methods that will be used or developed. Anticipated outcomes and achievements, including impact on the larger group, and how this impact will be evaluated. Detailed budget, including expected funds from other sources. The Foundation supports diversity and affirmative action goals in its grant-making and internal policies. The opportunities that prospective grantee organizations provide for minorities, disadvantaged groups and women are considered in evaluating grant proposals. A full statement of minority representation and a numerical profile of staff and governing board members by gender with designation and institutional affiliation should be included in the proposal. Applications are considered throughout the year. Normally, applicants may expect to receive within a month on initial indication of whether their proposals are within the Foundation’s program interest and budgetary limitations. Any legally constituted organization or individual is eligible to receive a Foundation grant. Grants are available solely for educational, scientific, literary and charitable activities, as stipulated by United States tax lows regulating the operation of private philanthropies. Most of the Foundation’s grant funds are given to organizations, including universities, governmental agencies and non-governmental organizations. Grants can be made for specific projects or for general support of an organization whose work closely parallels the Foundation’s program interests. Grants to individuals are rarely given and are limited to activities related to the Foundation’s program interest that cannot be funded by a grant to an organization. The Foundation does not award undergraduate or graduate scholarships or make grants for purely personal or local needs. As a general rule, the Foundation does not support individual study tours or attendance at conferences. All grants are made on the basis of the merit of the proposals and their potential contribution to the advancement of the Foundation’s program objectives. The Foundation’s activities in India are governed by a memorandum of understanding signed with the Government of India. Under the terms of this memorandum, prior approval of the Government of India is necessary before a grant can be made to an individual or organization within India. On occasion, permission from the relevant state government is required. Normally, institutions with a foreign Contribution Regulation Act (FCRA) number receive clearance within 30 days. However, institutions without an FCRA number are required to apply for “Prior Permission” and this procedure usually takes three months or more. Delays beyond the prescribed period cannot be ruled out. The David and Lucile Packard Foundation was created in 1964 by David Packard (1912-1996) and Lucile Salter Packard (1914-1987). David and Lucile Packard shared a deep and abiding interest in philanthropy. The Foundation provides grants to nonprofit organizations in the following program areas: Conservation and Science; Population; and Children, Families, and Communities. The Foundation provides national and international grants, and also has a special focus on the Northern California Counties of San Mateo, Santa Clara, Santa Cruz, and Monterey. We do not accept proposals to benefit specific individuals or that serve religious purposes. The Foundation’s assets were approximately $5.2 billion as of December 31, 2004. General program grant awards totaled approximately $217 million in 2004. The Foundation has a grant making budget of approximately $200 million in 2005. The David and Lucile Packard Foundation works to ensure opportunities for all children to reach their potential, to protect reproductive rights and stabilize world population, to conserve and restore the earth’s natural systems, and to encourage the creative pursuit of science. We work to achieve our mission through support of programs in selected issue areas, through support for Special Opportunities and Capacity-Building that is flexible and responsive to the institutional needs of organizations, and through targeted support in Local Areas of historical importance to the Packard family. The Conservation and Science Program seeks to protect and restore our oceans, coasts, and atmosphere and to enable the creative pursuit of scientific research toward this goal. The Program makes grants to nonprofit organizations, supports the Monterey Bay Aquarium Research Institute, and manages the Packard Fellowships for Science and Engineering. The Population Program seeks to slow the rate of growth of the world’s population, to expand reproductive health options among the world’s poor, and to support reproductive rights. The Program makes grants to nonprofit organizations. The Children, Families, and Communities Program seeks to provide access to publicly funded, high-quality preschool programs for all three- and four-year olds; to provide access to health insurance for all children that ensures them appropriate health care; and to provide access to after-school programs that promote positive youth development for all elementary and middle school-aged children in California. The program makes grants to nonprofit organizations and supports the Lucile Salter Packard Children’s Hospital. In addition to advancing Foundation goals in our three program areas by supporting nonprofit organizations and key institutions, we also believe in the importance of flexible funding to address emerging opportunities as identified by our Board of Trustees and seek to strengthen the organizational effectiveness of grantee organizations and the philanthropic sector through grant making. The Foundation has a long commitment to local areas of historical importance to the Packard family. These include Pueblo, Colorado; Los Altos, California; and the broader four-county area of California encompassing San Mateo, Santa Clara, Santa Cruz, and Monterey Counties. We make grants in these local counties that advance the goals of our three programs and support various local arts and community organizations which offer important cultural and social services. In 1998, our Trustees adopted a goal for the Population Program to slow the rate of growth of the world’s population and to expand reproductive health options among the world’s poor. We are working toward a future where women and couples can fully exercise their reproductive rights; where government provides a supportive climate for reproductive health and family planning services, including a safety net for those who cannot afford to pay; and where a flourishing private and nongovernmental sector provides a diverse range of choices for those who can. Our grant making emphases are global institutions/global solutions (GI/GS) in the field of population, mobilization, reproductive rights, and future leaders. We concentrate our geographic grant making in five countries of the developing world (Ethiopia, India, Nigeria, Pakistan, and the Philippines) and the United States. Our India subprogram supports the policy of the government of India to slow population growth and achieve population stability by providing information and extending access to quality family planning and reproductive health services to underserved populations in Bihar and Jharkhand. The subprogram also supports the government’s policy to delay marriage and childbearing among young people and to enable them to make informed decisions about their reproductive health. Population Program activities in India are limited to the states of Bihar and Jharkhand, as they present the greatest need/resource imbalance. Together these states comprise the poorest region in India and have the lowest indicators of women’s status in India, a large unmet need for family planning and reproductive health services, and a high proportion of young people. To expand people’s access to a wide range of modern contraceptives and related reproductive health services, to increase contraceptive prevalence, and to increase the proportion of couples using modern methods of contraception. To make modern family planning and reproductive health information and services available to young people and to strengthen their ability to make informed decisions about when to marry; when to have their first and subsequent children; and how to prevent unintended pregnancies, unsafe abortion, and the spread of HIV/AIDS. We do not accept unsolicited proposals for project activities in India outside of Bihar and Jharkhand. Step 1: Does Your Project Fit with Our Guidelines? The David and Lucile Packard Foundation is a private foundation. We accept grant proposals only for charitable, educational, or scientific purposes, primarily from tax-exempt, charitable organizations. We do not provide funding for projects that benefit specific individuals or that serve religious purposes. Our funding priorities are global institutions/global solutions (GI/GS) in the field of population, mobilization, reproductive rights, and future leaders. We concentrate our geographic grant making in five countries of the developing world (Ethiopia, India, Nigeria, Pakistan, and the Philippines) and the United States. Addresses a program area for which we accept unsolicited letters of inquiry or proposals. Currently, the Population Program accepts unsolicited letters of inquiry and proposals for Mobilization, Reproductive Rights, and country programs in Ethiopia, India, and Nigeria. Appears to fit within the particular strategies we have adopted to advance program goals. If your work meets the criteria described above, we encourage you to submit a letter of inquiry online. To submit your letter of inquiry using our online application form, please click on the following link: Population Program online letter of inquiry form. If you need assistance at anytime during the online application process, please call our Population Program at 001 (650) 917-4777. Staff members review letters of inquiry year-round and there are no submission deadlines. If you are unable to access the online application, you may submit your letter of inquiry by email to population@packard.org , by fax to 001 (650) 948-1361, or by regular mail to Population Program, The David and Lucile Packard Foundation, 300 Second Street, Los Altos, California, 94022, U.S.A. The letter should provide a descriptive title and should explain your project’s objectives, funding needs, and relationship to our specific grant making priorities. Letters of inquiry submitted online receive immediate confirmation that we have received the request. We will acknowledge receipt of letters of inquiry received by email, fax, or regular mail within three weeks. If your request fits within our program guidelines and priorities, you will be asked to submit a full proposal. You will be provided with the necessary information for completing the process at that time. Staff members review each proposal carefully, and we generally meet with the applicant prior to making a recommendation. Foundation staff members will seek to coordinate the timing of the review process with grant applicants. The application, due diligence, and funding decision process normally takes three to six months for most applicants. Terre des hommes (Earth of Humanity) is a children’s aid organization working against the injustice faced by children all over the world. Terre des hommes believes in supporting children in their own environment and social context, with respect and solidarity, and without any reference to gender, race caste or religion. Terre des hommes is an international federation of national chapters, which raise funds to support action and advocacy on behalf of children against poverty, oppression, abandonment and discrimination. The first such group was set up in Lossane (Switzerland) 1959 by a Swiss journalist, for the child victims of the Franco-Algerian conflict. Other TDH chapters are in Germany, Belgium, Holland, Italy, Denmark, France, Luxurnburg, Geneva, Basel and Canada. These all work almost independently. But they have an international federation with its H.Q. at Geneva (Switzerland). Terre des hommes, Germany chapter, Initiated in 1967. Terre des hommes, Germany works for the creation of a just and peaceful world for all children, those alive today and the generations to come. Its endeavors are based on the fundamental principles of humanity, tolerance and equal rights for all people regardless of their origin, gender and religion. Within Germany, it seeks to inform and educate the public about the situation of children, women and other vulnerable groups in developing countries. Within developing countries it acts through local project partners, supporting local initiatives to protect children from exploitation, deprivation and injustice and to promote children’s rights. Terre des hommes Germany – India Programme (tdhG-IP) started its work in 1975 from Pune. The Pune office is now the Regional Office for South Asia. The mission statement of TDH is ” To create a world of Peace and Prosperity for all the children of today and generation to come”. > eradicating child labour and child abuse. > improving the economic status of families. > empowering women through providing legal aid, skill training and income earning capabilities. > Combating discrimination against girls and women. > promoting people-oriented health care. > working to improve the environment, preserve bio-diversity and cultural diversity. > protecting children from the vagaries of natural disasters, both by assisting those who are victims of such calamities and by working towards preventing these. To change the social context of children’s life like poverty, deprivation, violence, homelessness etc. TdhG-IP also supports initiatives that promote the socio-economic rights and political empowerment of marginalized groups, and campaigns that create public awareness and mobilize public opinion on issues of children’s and women’s rights. It initiated and actively supports the national Campaign Against Child Labour (CACL), and is also involved in the International Campaign against Child Trafficking (ICaCT) and the national Campaign Against Child Trafficking (CACT). Other campaign priorities include promotion of bio-diversity and sustainable use of natural resources, support of cultural diversity and peace, and cam bating the impact of globalisation especially on women and children. The Geographical Coverage of TDH(G) is whole India. a) Registered society/trust with minimum 3 years of good track record of working in the field. The application procedure is first to write a letter (concept note) with reports about the organisation. On its basis the Tdh office will send the project proposal format when there will be any possibility of co-operation. Tdh also provide disasters support only in the area, when there is any organisation having previous project support e.g. there was flood in Bihar and Assam, but Tdh provided disaster support only in Bihar because there were project partners. Apart from the Pune office tdhG-IP maintains offices in Delhi, Bangalore, Kolkata and Mumbai with a view to closely working with partner organizations based in remote areas in different zones.